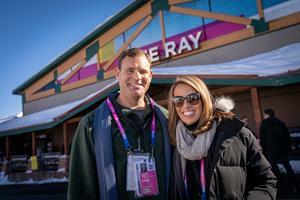 Dolby Laboratories Celebrates Dolby Family Fellowship Recipient Films ‘Honey Boy’ and ‘The Sound of Silence’ at the 2019 Sundance Film Festival | Dolby Laboratories, Inc.
PARK CITY, Utah, Jan. 28, 2019 (GLOBE NEWSWIRE) -- Dolby Laboratories’ Dolby Institute and the Ray and Dagmar Dolby Family Fund honor ‘Honey Boy,’ directed by Alma Har'el and written by Shia LaBeouf, and ‘The Sound of Silence,’ directed by Michael Tyburski and co-written by Ben Nabors and Michael Tyburski, at the 2019 Sundance Film Festival. Both films received the prestigious Dolby Family Fellowship grant, enabling a wide array of post-production technologies including Dolby Vision and Dolby Atmos. Dolby Institute director Glenn Kiser moderates “Sound Is Important! How Sound Design Can Help You Tell Your Story” panel from The Box at the Ray Theater. From left to right; ‘Honey Boy’ re-recording mixer Will Files, supervising sound editor and rerecording mixer Brent Kiser, sound designer Andrew Twite, and director Alma Har’el. Followed by ‘The Sound of Silence’ director and co-writer Michael Tyburski, producer and co-writer Ben Nabors, and sound designers and rerecording mixers Ian Gaffney-Rosenfeld and Grant Elder. 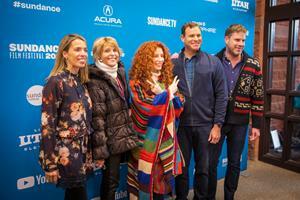 Natasha Dolby, Dagmar Dolby, David Dolby, and Tom Dolby celebrate Dolby Family Fellowship recipient film ‘Honey Boy’ with director Alma Har'el (center) at the 2019 Sundance Film Festival. 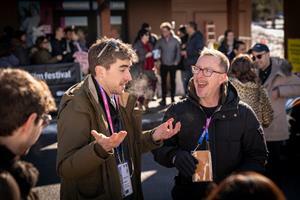 ‘The Sound of Silence’ producer and co-writer Ben Nabors with Glenn Kiser, director of the Dolby Institute, at the Ray Theater in Park City, Utah during the film’s 2019 Sundance Film Festival premiere. 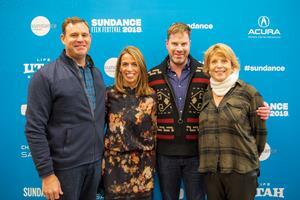 David Dolby, Natasha Dolby, Tom Dolby, and Dagmar Dolby at the ‘Honey Boy’ premiere at the 2019 Sundance Film Festival. Dagmar Dolby and Tom Dolby converse with ‘The Sound of Silence’ director and co-writer, Michael Tyburski, at the Ray Theater during the 2019 Sundance Film Festival. Launched at the 2013 Sundance Film Festival, the Dolby Institute has the mission to educate and inspire emerging filmmakers and content creators to think creatively about sound and image to enhance their stories. Since its inception, the Institute has brought together emerging artists and award-winning veterans and masters of the craft to offer concrete tools and advice on ways to make stories more vibrant with sound and images. Dolby Institute Director Glenn Kiser, the former head of Skywalker Sound, has been working at film festivals, universities, and film schools—wherever filmmakers gather. Dolby, Dolby Atmos, Dolby Audio, Dolby Cinema, Dolby Dimension, Dolby Vision, Dolby Voice, and the double-D symbol are among the registered and unregistered trademarks of Dolby Laboratories, Inc. in the Unites States and/or other countries. Other trademarks remain the property of their respective owners.